COMPANIES would benefit if they had more financing alternatives than the standard bank loan, according to the Singapore Business Federation (SBF). The business association told The Straits Times that equity crowdfunding and a trade receivables exchange can provide other ways for small and medium-sized enterprises (SME) and start-ups to get financing. The SBF said the upcoming Budget gives the Government an opportunity to review financial regulations to facilitate these newer forms of financing. Crowdfunding allows small businesses and individuals to make a pitch online in the hope that others will like their ideas enough to pledge cash. Equity crowdfunding involves raising funds by selling shares to investors in exchange for partial ownership of the company. A trade receivables exchange provides a platform for businesses to auction their accounts receivables to potential investors, so converting an unutilised asset on their balance sheets into working capital. Mr Linus Goh, the chairman of the SBF's SME sub-committee on financing, wants alternative financing methods evaluated in more detail "so we can see what changes can be brought about and how best to deploy these platforms". Mr Goh, who is also OCBC Bank's head of global commercial banking, said the underlying activity for a trade receivables exchange "is quite basic and is already done by financial institutions here". Singapore already has an equity crowdfunding platform in the form of FundedByMe. The Swedish-based website, launched in December, allows residents of Singapore and Europe to invest in companies from both markets. There are no fees, and the site allows firms to launch campaigns for up to ¤1 million (S$1.7 million). The platform has more than 30,000 members globally, and its campaigns have raised about ¤3.6 million. Mr Sunil Rajan, FundedByMe's Singapore country manager, said it is in talks with some Singapore firms keen to launch equity crowdfunding campaigns on the platform. However, regulations on equity crowdfunding in Singapore are "still a grey area" and there are some restrictions, he added. FundedByMe's model works within the existing framework. For instance, the Companies Act allows private companies to have only 50 shareholders. Still, platforms like FundedByMe offer more options not just to businesses but also investors, said Mr Rajan. "A lot of people don't get the opportunity to invest in private equity due to lack of accessibility and the size of the minimum commitment involved. Our platform gives investors something new to consider for their portfolios, with the associated risks and returns." While these alternative financing methods have benefits, investor education is a major concern. Ms Gail Ong, head of WongPartnership's equity capital markets practice, said one of the main tenets of the securities regime in Singapore is investor protection, particularly for the man in the street. She said: "As crowdfunding would be sought by start-ups or small businesses, the risks of investing in such companies would be higher as it would be difficult for investors to make an investment decision just based on the information provided on the Internet instead of on a prospectus." 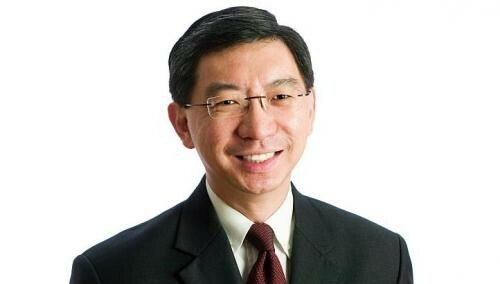 Rather than allowing "all and sundry" to immediately start investing in private equity, Mr Goh said a possible model would be a platform targeted at angel investors and start-ups. "What works today is angels investing in start-ups... We might try to improve the hit rate for (them) by matchmaking a ready set of investors with a ready set of businesses before trying to introduce equity crowdfunding to people who have not invested before." Mr Neo Kok Beng, chairman of 3-D printer maker Pirate3D, said crowdfunding can be a good way to win market validation. It raised US$1.44 million (S$1.83 million) on US-based crowdfunding site Kickstarter to manufacture The Buccaneer, an affordable 3-D printer for the home market. Its campaign is believed to be Singapore's top crowdfunded campaign on a global platform. "Equity crowdfunding should be investigated seriously, especially since Singapore is a financial hub in Asia," said Mr Neo. "There is potential for attracting tech-intensive companies to set up operations in Singapore if there is a regional crowdfunding mechanism operating here."